Fire up your pretend grill- and invite all of your friends- it's time for a Backyard Barbeque! Whether your BBQ favorite is a juicy T-bone steak, a hot dog on a bun, or a cheeseburger with all the fixings- we've got it all! 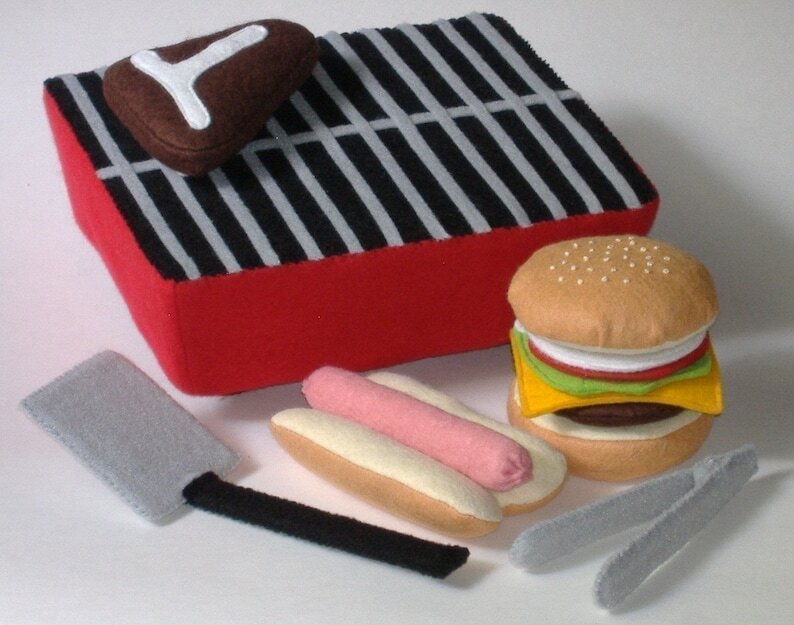 Flip your steak & burger with a fun spatula, and turn your hot dog with working tongs.